BMW incised sales achievements in 2017. Last year, BMW Group managed to sell 2,088,283 units of products worldwide. That number increased 4.2 percent over the previous year. Variety of products they launched last year, called successfully boost sales to give sweet results. 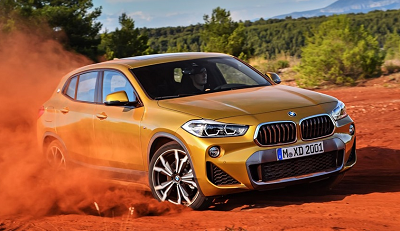 Disclosed BMW, in its official statement, the product line of their SUVs are included in the X-Series, able to contribute high sales. 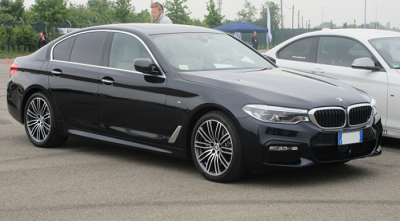 In addition, the new BMW 5-Series sedan model, also boost sales of car manufacturers based in Munich, Germany. "We are delighted with the record sales achieved last year.The achievement of BMW Group consisting of three brands such as BMW, MINI and Rolls-Rocye is able to make us become the leading premium automotive company in the world," commented Ian Robertson Brand board Member for Sales BMW. In addition, the implementation of BMW's precise strategy in China, also able to increase sales. In the land of the Bamboo Curtain, BMW's sales last year reportedly increased by 15 percent. As for BMW's best-selling product there, 5-Series, sales figures they do not call. Although sales in China increased, but apparently in other parts of the world they actually dropped sales. As in the European region that fell 1 percent and North America with a 2 percent decrease. Pieter Nota, who replaced Ian Robertson as global sales chief, said he was optimistic that BMW's sales would grow again this year. To achieve this, Nota said BMW will focus on maintaining profitability with leading innovation products. "We are optimistic, as some new cars like the X2 and Series-8 as well as the increasing availability of BMW X models with the new generation we are preparing this year, our products ensure higher sales in 2018," Nota said. BMW also achieved its sales target line-up of electrical products which last year sold 103,080 units through the MINI brand as well as BMW. Meanwhile, to maintain positive sales of electric vehicles, in this year BMW will launch electric cars and hybrids in the automotive world anymore. This is to ensure BMW remains at the forefront of future vehicle technology innovations. Overall, BMW Group sales last year reached 2,463,526. The BMW brand reaches 2,088,283, MINI 371,881 units, Rolls-Royce 3,362 units, BMW Motorraid 164,154 and BMW Group 103,080 electric car line-up.